Can the Board Have Vehicles Towed if They are in Violation of the Rules? Maybe. It’s Complicated. We are often asked if a California condo or homeowners association has the ability to tow vehicles from the association if they are violating the association’s Rules and Regulations. The answer is that an association does have the right and ability to tow vehicles, assuming that the towing is appropriate, does not conflict with the applicable California Vehicle Code (including having the required signage), and that the association’s Rules allow for same. Follow this link to our prior blog post regarding the basics relating to towing of vehicles from a California common interest development. This post will address when and if a California condo or HOA can tow a vehicle based on its Rules. For the Rules to be effective, they cannot conflict with the association’s CC&Rs, and the Rules must have been properly adopted pursuant to the Civil Code. For several years, the Civil Code has required that before the board can adopt Rules, it must first send them out to all homeowners and allow thirty (30) days for homeowner comment. I would not want to see the board go through the effort of enforcing the Rules only to have a homeowner complain that the Rules were not properly adopted (as homeowners often do). Boards who are facing parking issues may want to consider amending the Rules regarding parking and vehicles, in which case the question as to whether the previous Rules were properly adopted may not be important. I mention the possibility of implementing new Rules because many associations’ current Rules lack sufficient specificity to enable the board to make swift and confident decisions regarding enforcement. For example, there is often no indication that parking in a fire lane is a violation (although that may be posted on a sign). Also, there is often nothing that indicates that storing an inoperable vehicle in an owner’s assigned parking space is a violation of the association’s Rules. While it may be inferred from the Rules that such actions are prohibited, it is best for such issues to be addressed clearly and leave no room for dispute. We also often find that associations will not have a Rule that specifically states that a homeowner will be towed if their vehicle is blocking another owner’s garage or parking space. I would not recommend that the association get involved in towing vehicles that are blocking other garages unless there is a Rule that specifically says the association will do this. Many associations do not get involved in dealing with cars that are blocking another owner’s parking space or garage, instead leaving that dispute to be settled by the two owners. On the other hand, there is no reason the association cannot get involved in that issue, which may be appropriate given that the association’s resources may better enable it to contact the towing company and have the car removed. However, it is important to point out that towing would require that someone with authority from the association be on-site to actually see that a car is blocking another resident’s parking space or garage. We would not want to see the association tow a vehicle based on the representation of an owner unless someone with authority at the association witnesses the violation first-hand. Also, California Vehicle Code (CVC) Section 22658(l)(1)(A) actually requires that someone with authority be at the vehicle when it is towed. Further, as a general note, whenever establishing or enforcing a set of Rules related to parking and towing, associations must act within the bounds provided by CVC 22658. And yes, the association has the ability to tow an inoperable vehicle that is being stored in an owner’s parking space, or in a guest parking spot. If the vehicle is not registered, is inoperable, has expired tags, or is in a fire lane, it can be towed if the association’s Rules so provide. If a vehicle were in a true fire lane, then that would be a proper basis to immediately tow a vehicle. If a vehicle is in a guest parking spot, before you tow that vehicle, you should consider placing notice on the vehicle, advising that you will be towing the vehicle in a certain period of time (give a few days, especially if the car has been stored in that parking spot for some time). If you know who owns the vehicle, then notice should be sent to the owner as well, letting them know that you plan on towing the vehicle. If the vehicle is not registered, it is not operable, has expired tags, etc., or is being stored in a parking space, then the board would have the ability to tow that vehicle if the Rules prohibit the parking of inoperable vehicles. This was actually the subject of a 2011 Court of Appeal decision Sui v. Price. Sui had parked a van that had not been operable for some time in that owner’s parking space. Apparently, the family had a sentimental attachment to the van as it reminded them of some past good times. The association gave notice to the owner that if the vehicle was not moved within a certain period of time, it would be towed (in the Court’s opinion, they did not say exactly how many days the owner would be given, but it is my recommendation that you give the owner some time to move the vehicle, especially if it has been parked/stored in the space for some period of time). In this case, the Court held that the Rule was not discriminatory. Even though the Rule may have been adopted because of the one owner’s stored vehicle, it is enforceable against any owner or resident that was storing a vehicle. So if your association has unsightly vehicles being stored in parking spaces, you can have them towed, so long as your Rules prohibit the storing of inoperable vehicles, and you give the owner ample notice and time to remove their vehicle. Other associations have, in lieu of towing the vehicle, told the owner that if they cover the car with an actual vehicle cover, the association will permit the vehicle to remain. In my mind, that really does not eliminate the problem, and instead creates another one; that owner or resident would then utilize other parking at the association, and most associations do not have that much available parking to begin with. The above quotation should answer many of your questions. Yes, if your Rule is reasonable and appropriate, California law allows you to tow vehicles. For operable vehicles that are improperly being stored in parking spaces or improperly utilizing guest parking spaces, and where no proper signage is posted pursuant to CVC 22658(a)(1), you may have to allow ninety-six (96) hours after issuing notice. However, for vehicles unlawfully parked in a properly marked and designated fire lane, or within fifteen (15) feet of a fire hydrant, such notice is not required. Does the association need to adopt a towing policy? The answer is that you don’t have to necessarily have a towing policy, but the Rules should specify that if the Parking Rules are violated, you will tow the vehicle. If the association is going to start towing vehicles, note that signs are required to be posted at the Association for towing. Otherwise, the Association will need to issue a notice of parking violation, and allow 96 hours to elapse before towing. Please follow this link to an article we prepared that specifies the Vehicle Code Requirements for signage. If the Association is going to start towing vehicles, then you are going to need to develop a relationship with a towing company. 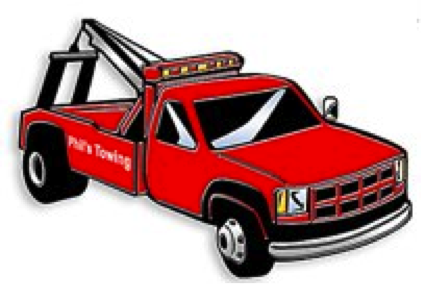 Most towing companies will provide you with preprinted signs that meet the requirements of the vehicle code. But as was stated above, we strongly suggest that the Board consider amending its Rules before you start towing vehicles, and consider conferring with legal counsel to assist you in revising or preparing parking Rules that address towing. It is not recommended that any association start immediately towing vehicles. Politically, this can be very bad for the board of directors and the association. It is a better idea to let the homeowners know that this is your intention, and to prepare them for the possibility of towing. And, we would certainly recommend hearings for those homeowners that are violating the Rules and not tow unless the vehicle is in a fire lane or blocking a garage, etc. David Swedelson is a California condo lawyer and HOA attorney. He can be reached at dcs@sghoalaw.com. Ryan Barrett is an associate at SwedelsonGottlieb and can be reached at rdb@sghoalaw.com.